Filipinos love fried food. They love the crispy-crunchy sound these make with every bite, but they like the delightful taste of fried food - whether it’s chicken, beef, pork or fish - even better. How can else can you explain why Filipino families are big fans of fast food chains that serve fried chicken, fried tapa, fried pork liempo, etc.? 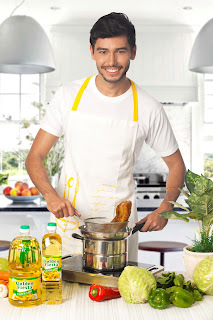 This trend has raised the alarm among health advocates who associate frying with the liberal use of cooking oil, which is flagged as a product that is detrimental to one’s cardiovascular health. Fortunately, not all cooking oils are the same, and not all of them are harmful to your body - not when you use the right one. In fact, scientific studies show that there is actually a heart-healthy nutrient found in Canola Oil, which lowers one’s bad cholesterol (LDL) level and minimizes one’s risk of acquiring coronary heart disease and hypertension. Yes, you read that right - canola oil is a cooking oil that you can use for frying without jeopardizing your heart health. But first, what is canola and what are the benefits we derive from it? Canola is extracted from grapeseed, which is low in uric acid and glucosinolates. 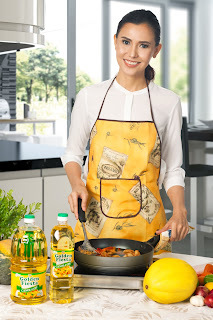 Thus, while canola oil is characterized by a low level of harmful saturated fatty acids, it has substantial amounts of monounsaturated fatty acids, which are touted to have positive effects on cardiovascular health through the regulation of plasma lipids and proteins. Research published in Nutrition Reviews further reveals five studies that compared canola-based diets with typical Western diets and found evidence that canola was able to reduce total cholesterol levels by an average of 12.2%. This cholesterol-reducing action is made by possible by canola’s phytosterol content. Phytosterols, like sterols and stanols, are natural plant-derived compounds that are structurally related to cholesterol. Studies have shown that an intake of 2 grams per day of stanols or sterol reduce low-density lipoprotein by 10 percent. The USDA has also acknowledged that plant sterol or stanol is generally recognized as safe by manufacturers, and has authorized them to claim that food rich in phytosterol may reduce the risk of coronary heart disease - one of the leading causes of morbidity and mortality, not just in the US but in the rest of the world. Indeed, years of scientific evidence have increasingly bolstered the status of canola oil as one of the healthiest oils we can ever use. 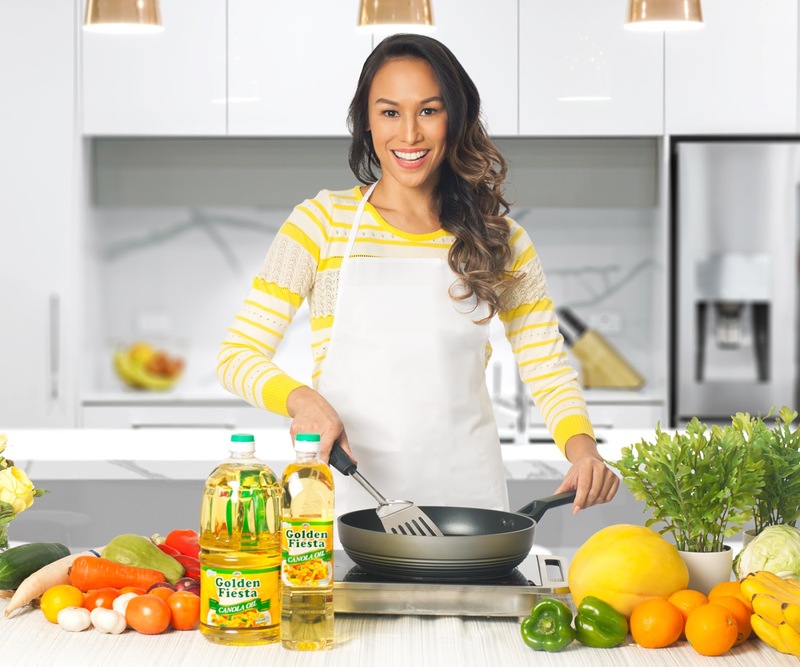 This explains why canola is the third largest vegetable oil produced after palm oil and soybean oil, and is also the second most consumed cooking oil in the United States. So go ahead and enjoy your favorite fried food. 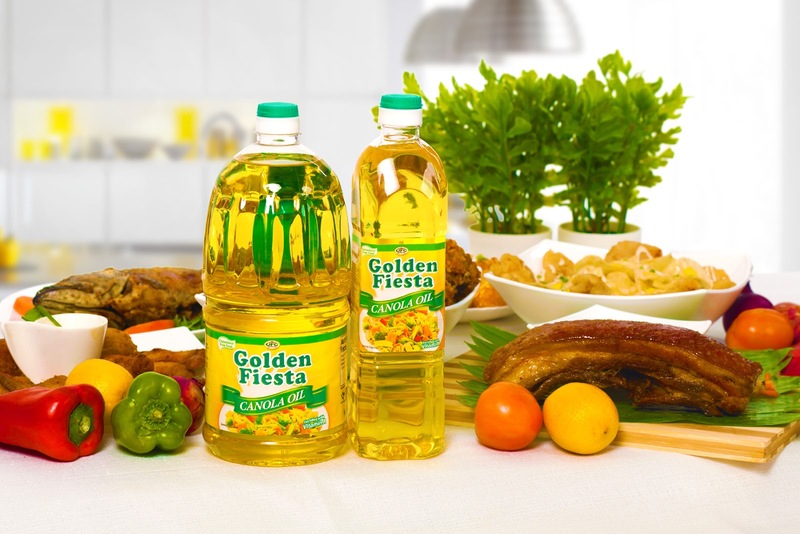 Just be a smart consumer and choose the cooking oil that is best for you. 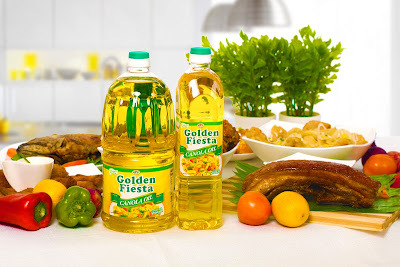 NutriAsia Golden Fiesta Canola Oil is a good source of phytosterols. Two grams of phytosterols per day may potentially reduce the risk of coronary heart disease.